This 4 Days Kenya Wildlife Safari takes you through the great rift valley and guarantees you sightings of vast animal species. Visit Kenya with us and have a memorable safari. Day 2 – Lake Nakuru / Masai Mara After an early breakfast, check out by 0730 hrs and drive to the Masai Mara National Reserve where you arrive for check in followed by lunch. 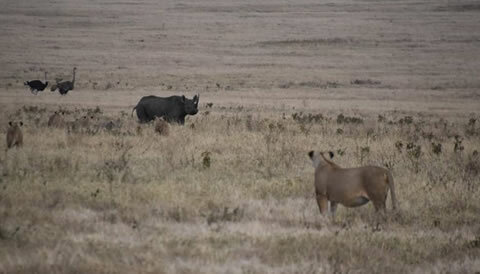 Enjoy an afternoon game drive from 1600 hrs, the beginning of the amazing Masai Mara game viewing experience. Dinner and overnight stay at lodge / tented camp. Meals: Breakfast, Lunch, Dinner. Day 3- Masai Mara Early morning and late afternoon game drives in search of the BIG 5; Lion, Buffalo, Elephant, Rhino, and Leopard and several other animals including Impalas, Gazelles, Wildebeests, Hyenas, Topis, Zebras, Giraffes and hundreds of bird species. The annual Wildebeests Migration from Serengeti to Masai Mara also takes place here between July and October when millions of Wildebeests and Zebras closely trailed by the Big Cats cross the Mara River and roam the reserve’s plains in search of greener pastures. Rest of the time at leisure in your lodge. All meals and overnight stay at your lodge / tented camp. Meals: Breakfast, Lunch, Dinner. End of the 4 Days Kenya Wildlife Safari.